Celebrating Cinco de Mayo will be slightly different today. This article from CNN explains why there will be a lemon and not a lime in your Corona this afternoon, blame it on the drug cartels. While the great lime shortage of 2014 was initially sparked by severe winter weather and drought conditions in Mexico, criminal organizations have used violence and extortion to exacerbate the situation. The price of a case of limes, a mainstay of margaritas, guacamole and summer beers, has more than quadrupled in recent months. 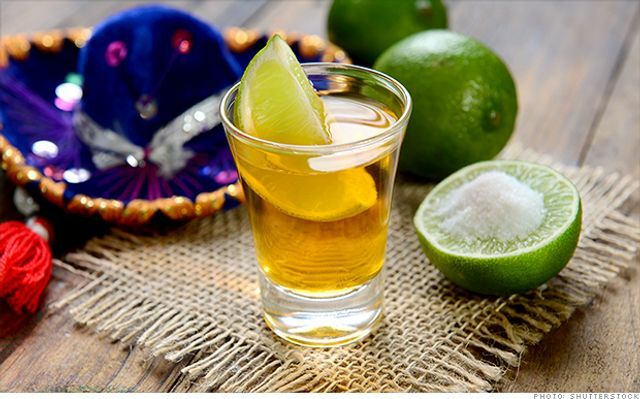 The lime shortage illustrates the close ties between the U.S. and Mexican economies and how violence south of the Rio Grande can have ripple effects on American consumers -- and not just the ones hitting the beaches in Cabo San Lucas and Cancún. "Most people in the U.S. don't realize how highly dependent we are on Mexico for certain products. They don't understand how much our economies are intertwined. The bad things happening in Mexico do have an impact on U.S. consumers and U.S. exporters," said David Shirk, a security specialist at the Mexico Institute of the Woodrow Wilson International Center for Scholars. Thanks for lime price updates @jorgerocket1 & @spcmearecipe You're in story! http://t.co/B59TjVwin3"